The McAdams-Fultz House, now at 1437 N. Fairview in Wichita's Midtown neighborhood, will receive $90,000 for restorations. The historic Derby Public School circa 1924, left, and in 2014. Viets Clothing Co. in Augusta circa 1920, left and in 2011. The Kansas Historic Sites Board of Review has approved more than $1 million in grants that will help preserve houses, churches and other projects across the state. The Heritage Trust Fund grants provide matching funds up to $90,000 to preserve or restore historic properties listed in the National Register of Historic Places. The board awarded just over $1.3 million for 22 projects in Kansas. The McAdams-Fultz House in 1989 at its original location at 911 N. Topeka Ave. The McAdams-Fultz House in Wichita's Midtown Neighborhood will receive $90,000 for restoration. 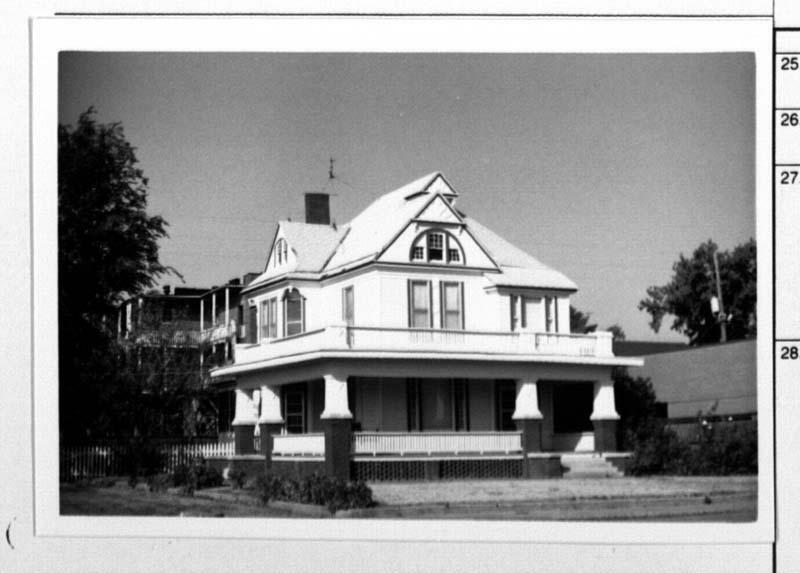 The 1887 Queen Anne-style house was moved from Topeka Street to the Park Place Fairview district in 2001. The Derby Historical Museum was awarded just over $8,000 for a new roof and masonry repair to the red brick. The former Derby Public School building was built in 1923 and purchased by the museum in 2014. Viets, a one-time department store built in the early 1900s in downtown Augusta, will receive $90,000 for restoration. The Kansas Historical Society has nominated 10 sites to add to the National Register of Historic Places. The list the KHS released Wednesday includes Gasier Carriage Works in the 200 block of north Saint Francis in Wichita. The-story brick building housed the Carriage Works from 1910 to 1957. W.H. Gaiser first used the building for his carriage business until 1920, when he shifted his focus into making automobiles.